What Is More Efficient, Top or Bottom Freezer? What Sizes Do Refrigerators Come In? Which Style of Refrigerator Is Most Efficient? If you’re in the market for a new fridge, an energy efficient style may be on your mind. Energy efficient appliances use less electricity. This, in turn, leaves more money in your wallet from the electric bill savings. When looking into energy efficient refrigerator styles, consider the set-up of the fridge and freezer, along with extra features such as ice-makers and water dispensers. Saving energy saves you money in the long run. Large refrigerators give the option of buying loads of groceries and cutting down trips to the store, but these oversized models consume a large amount of energy. To improve fridge efficiency, choose a style that reflects your household’s eating habits. Smaller refrigerators work more efficiently for smaller families and families who don’t buy as many refrigerated groceries. Your fridge should reflect your grocery needs and not be too large or too small. 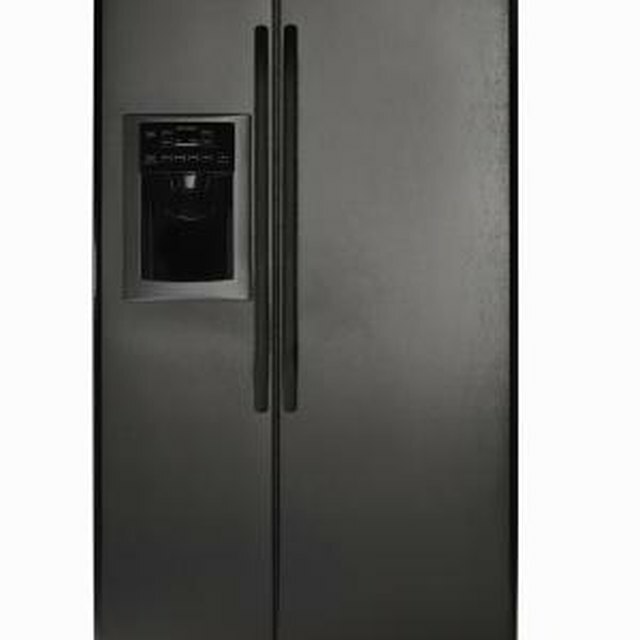 Energy Star reports that the most energy-efficient fridge styles come in at around 16 to 20 cubic feet. For maximum energy conservation, a fridge should have either a freezer on the top or freezer on the bottom. A refrigerator may look nice with side-by-side doors, but according to the Consumer Energy Center, side-by-side models use 13 percent more energy than refrigerators with a freezer on the top and 16 percent more energy than bottom-freezer styles. Adding on ice makers and water dispensers to the front of a refrigerator has become a standard. While these additions cut down on the amount of time the fridge door is opened, which in turn leads to a more stable temperature within the fridge, refrigerators with ice makers and water dispensers consume 14 to 20 percent more energy than models without these additions, according to the Consumer Energy Center. Additionally, auto defrost and anti-sweat heaters cause a fridge to consume more energy. A fridge with a mini-door, however, saves energy because the door is opened less often to give easy access to often-consumed foods. To make the choice of which style refrigerator, the US. government developed the Energy Star rating system. Styles marked with the Energy Star label have been tested and observed to consume at least 20 percent less energy than other refrigerators on the market. A refrigerator’s Energy Star rating can usually be seen right on the box that it comes in or on the display card in the store. If the Energy Star label is not present, then that style refrigerator is not an energy efficient choice. When Is the Best Time to Buy a Refrigerator? What Is the Size of a Standard Kitchen Room?